QTY 12345678910111213141516 Please select a quantity. Ventev Anti-Glare/Anti-Fingerprint Screen Protectors are durable to provide maximum scratch protection. These ultra-thin, reusable screen protectors can be easily applied or removed and leave no sticky residue. The dust repellent anti-glare/anti-fingerprint material provides maximum screen readability under various lighting conditions (even direct sunlight) and is also fingerprint resistant. 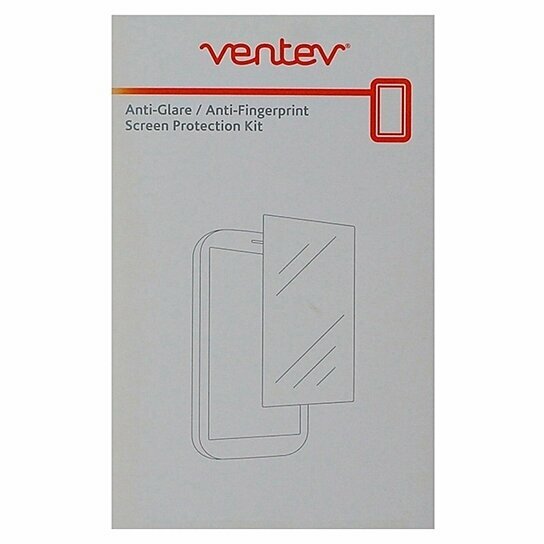 The Ventev Anti-Glare/Anti-Fingerprint cell phone screen protectors for Samsung Note 2 come in a 2-pack with microfiber cleaning cloth and applicator card.